I'm a historian of technology, gender, and modern Europe. I research how gender and sexuality change what we think we know about technological progress and the global "computer revolution." 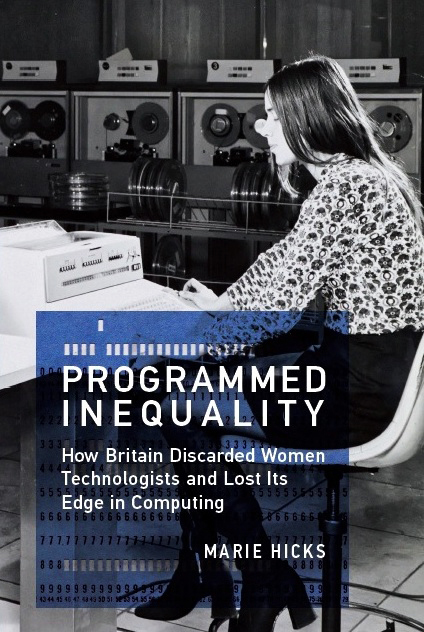 My new book is Programmed Inequality: How Britain Discarded Women Technologists and Lost Its Edge In Computing published by MIT Press in January 2017. It won the PROSE Award for History of Science, Technology, and Medicine from the Association of American Publishers; The Sally Hacker Prize from the Society for the History of Technology; The Stansky Prize from the North American Conference on British Studies; and the Wadsworth Prize from the British Business Archives Council. It is now available in paperback, audiobook, and e-book. Programmed Inequality investigates why the proportion of women declined as electronic computing matured, and how this labor situation had grave effects on the technological aspirations of that waning superpower. It shows what lessons this holds for other nations, especially the United States, and how history can help us make sense of the present and the future by focusing not just on technological success stories, but also stories of technological failure. Maria Klawe, President of Harvey Mudd College and an expert on diversity in STEM, has described the book as "one of the best researched and most compelling examples of the negative impact of gender and class discrimination on a country's economy." Margot Shetterly, author of Hidden Figures, has called it an "important lesson for scholars and policymakers seeking ways to improve inclusion in STEM fields." Find it on Amazon, or order it through your local independent bookseller. I have also written about the history of computer dating in the mainframe era, gendered bathroom infrastructure, and the history of coeducation. My current book project looks at the deep pre-history of trans algorithmic bias to explore how users expressed resistance within early digital systems. You can reach me by email, read my articles, look at the classes I teach, or listen to the 10-minute version of what I work on in this BBC interview. The site's header image shows Andrina Wood, an early British computer expert, who went around the world training people how to use and program early computers. She is shown in 1958, sitting at the console of a BTM computer. 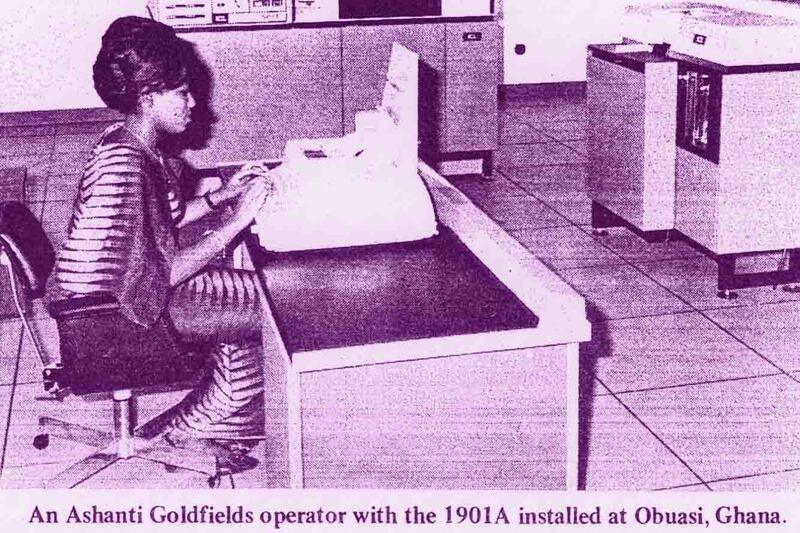 The purple image shows an unidentified computer operator at Ashanti Goldfields in Obuasi, Ghana in 1970 operating an ICL computer--if you know who she might be, please get in touch.